Who is “Lois Giles” you have wondered and asked? Well she is an extraordinary traditional vocalist from Georgia. Lois began singing at a very early age. While being reared in a Baptist and Methodist environment she always knew that “The Lord Will Make Away”, and he did when he blessed her with a voice to sing his praises. 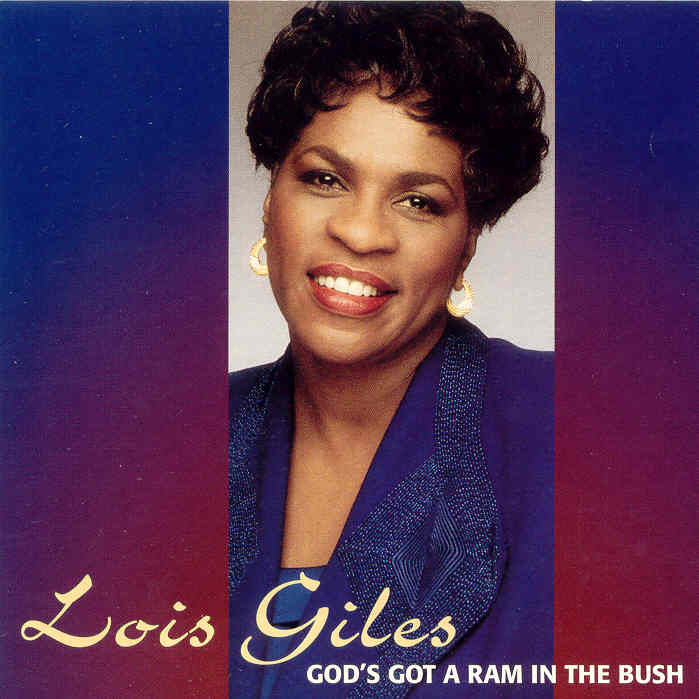 In this CD “God’s Got A Ram In The Bush” Lois exemplifies her love for gospel music; which developed out of the close relationship she had with her grandmother. Lois sings, “Jesus Loves Me” with a heartfelt rendition of the traditional song. It is evident the clarity in her message of love and devotion is truly felt and heard by all her audiences. As “Gently Jesus” showed Lois the way, she became one of the leading vocalists throughout New York City. She presently resides in New York and is a devoted wife and mother of two adult children. She knows that it was God’s Amazing Grace that brought her to the Lord. She is a member of the LaGree Baptist Church and serves as a Deaconess. Lois Giles has performed at various churches throughout the Tri-state area, North and South Carolina, and Georgia. She has also performed at the world famous Apollo Theatre and Carnegie Hall. Furthermore, Lois has performed at the Gospel Music Workshop of America Conventions held in Indianapolis, Indiana and Atlanta, Georgia. I hope this exciting artist on Road To Glory’s record label will inspire you. It is with great pride and pleasure that we introduce Lois Giles of NYC, NY. Please enjoy this CD.